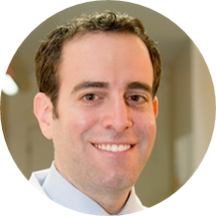 Dr. Samuel Margulies is a general dentist who was born and raised in Miami, FL. Dr. Margulies received his undergraduate education at The George Washington University with a degree in economics and received his formal dental training at Nova Southeastern University. Following earning his DMD, Dr. Margulies continued his training at St. Barnabas Hospital in New York City, where he completed his General Practice Residency, and then went on to practice privately in New York City. While in private practice, Dr. Margulies completed additional training at The New York University School of Dental Medicine, earning his certificate in "Advanced Aesthetic Dentistry, an Integrated Approach to Aesthetics and Function," where he learned to implement the fundamentals of biologically and cosmetically enhancing the smiles of individual patients, in conjunction with diagnosing and treating tempo-mandibular joint issues and helping to rehabilitate full mouth reconstructive cases. Dr. Margulies is excited to be back in his hometown with his wife, Charna, and to have the opportunity to treat patients in the very same community he grew up in. Dr. Margulies is a firm believer in building a relationship with each patient based on trust and communication, and strives to treat each patient with empathy and respect. He looks forward to meeting you and working with you to meet all your oral health care needs and desires. When he is not easing the fears of his patients, Dr. Margulies enjoys spending time in the warm sunshine, on land or water with his wife, family and friends. Overall all of the staff I encountered were professional, knowledgeable, and pleasant. I was shown around the office and informed of the different types of services provided, there were multiple opportunities to ask questions, procedureswere explained before they were performed, and you feel welcomed when enter the office. It’s nice to feel like a person and not just another client. Great professional service. They explained everything about your needs and the options you have. I should have taken their initial patient call as a warning when I made an appointment for 2pm and was called to move it up to 1:15 and then informed they couldn’t do a cleaning during visit but rather do anexam then I would have to book a follow up appointment. This seems backwards as every dental visit I’ve ever had in 25 years on this earth includes x rays and cleaning same day. To avoid a same day appointment cancellation, I showed up early, presented my ID and insurance card. Dr Margulies and hygeniest Cheryl were both very personable, professional and knowledgeable. However, their front office staff and girls who handle insurance claims and billing are not one bit professional. I have extremely good dental insurance through Reliance Standard (Ameritas) and was presented a quote that would require me to pay out of pocket for a cleaning, 2 fillings and an oral surgeon consult for wisdom teeth extraction because my insurance wouldn’t cover these items according to them??? I called my insurance company up right outside of their office provided all billing codes and was informed my insurance covers all items except a code for a gingival cleaning (a charge shown on their print out I have no problem paying for). I immediately went back in the office with the insurance rep on the phone and their billing lady (short haired brunette) refused to speak with her claiming she doesn’t talk on the phone with insurance and that what I was quoted is what I need to pay // they will send in a pre authorization brushing me off. I don’t know what kind of scam they’re trying to pull and essentially double dip with patient payment and puT an insurance claim in too, but I find it highly unprofessional to provide a quote that does not match what my insurance covers. As a patient I shouldn’t have to question my coverage with them to be brushed off and told that I’m wrong and to take it or leave it. It’s their job to run the codes against my coverage and be honest about what I should pay upfront. Very glad their true colors were shown before cleaning or filling my teeth and causing any future damage. That wait time was before I saw the hygenist and dentist. I did see an assistant that did xrays prior to that. Wonderful staff and doctor, really enjoyed getting my deep cleaning with Cheryll , supernice, professional and very gentle, highly recommend !! !